My office is in Summerlin and I absolutely love the community for many reasons but three of them are: the lush desert landscaping throughout (yes there is such a thing), the incredible views of Red Rock Canyon from almost every major boulevard, and the fabulous neighborhood parks and amenities. Because of this attention to detail, Summerlin is one of the most successful master planned communities in the nation. Originally acquired by Howard Hughes in 1952, Summerlin encompasses 35 square miles of land along the western rim of Las Vegas and was named after the billionaire’s grandmother, Jean Amelia Summerlin. 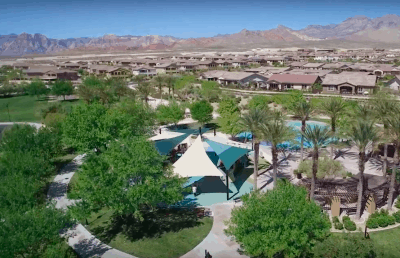 It began construction in the late 1980’s and is currently home to over 100,000 residents in 24 “villages” and two 55+ retirement communities – Siena and Sun City Summerlin. 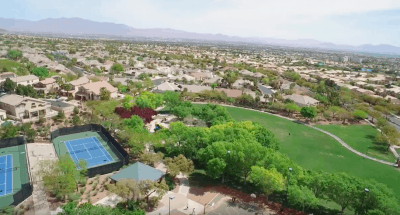 Summerlin abounds with amenities featuring over 230 neighborhood and community parks, an incredible 150 mile trail system, sports fields, nine golf courses, tennis courts, natural open areas, three world class resorts and Summerlin Hospital. Families love Summerlin’s extensive educational choices with more than two dozen schools, including the city’s finest private schools and top-ranked public schools. The addition of Downtown Summerlin completes this very desirable community featuring major fashion, dining, and entertainment options plus the Red Rock Casino, Resort & Spa, Lifetime Fitness, the Vegas Golden Knights NHL practice facility, City National Arena, and in 2019 the brand new baseball park will be the new home of our AAA baseball team, the Las Vegas 51’s! 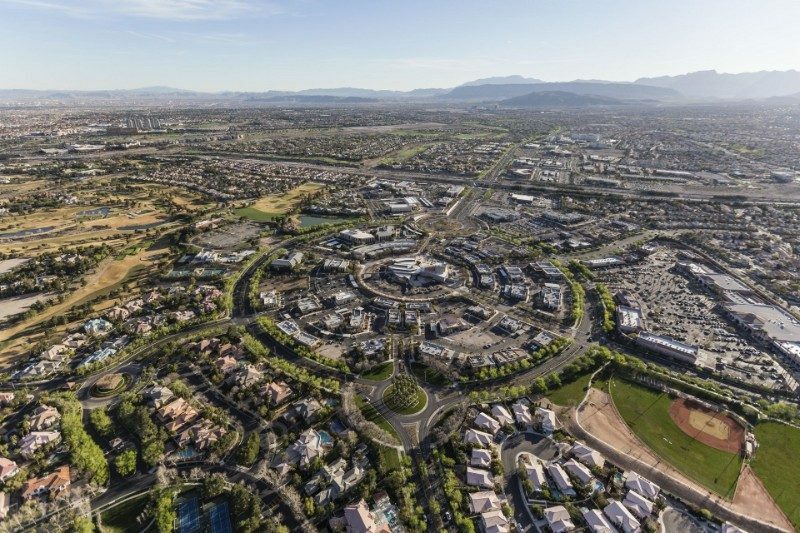 Summerlin is such a large area that it is separated into three different HOA associations: Summerlin North, Summerlin West and Summerlin South. Please click on each link to see available listings and a description of each area! Summerlin North is where it all began in the late 1980’s. I remember when it was being built and how Las Vegas had never seen a master planned community on this scale before. Summerlin North has the most established and mature villages which include condo communities, townhomes and single family homes some located in beautiful gated neighborhoods. The Tournament Players Club (TPC) is one of the most prestigious golf courses in Las Vegas and hosts the annual PGA Shriners Open tournament every October. Summerlin North also is the hub for the arts and is home to the Nevada Ballet Theater and Academy and the Summerlin Library and Performing Arts Theater. The villages of Summerlin North include The Arbors, The Canyons, The Crossing, The Hills, The Hills South, The Pueblo, Reverence and The Trails. Reverence is the only village with new construction and it is right up against the foothills of the Spring Mountains on the west side of the 215. Sun City Summerlin is located here which at 2400 acres and 7779 homes, makes it the largest retirement community in the state of Nevada. There is excellent shopping nearby in Tivoli, Boca Park, The Village Center, and of course, Costco. Area restaurant favorites include Echo & Rig, Nittaya’s Secret Kitchen, Marche Baccus, North Italia, Leone Café, Vintner’s Grill and Rocco’s New York Pizza (great pizza)! The mature landscaping , variety of neighborhoods and The Arbors Tennis facility! 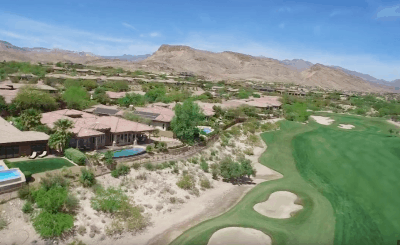 The villages of Summerlin South are The Cliffs, The Gardens, The Mesa, Red Rock Country Club, Ridgebrook, The Ridges, Summerlin Centre, The Summit, Traccia, and The Willows. The villages that are closest to Downtown Summerlin are The Willows, and Summerlin Centre with Red Rock Country Club and Traccia just across the 215 beltway. Summerlin South offers everything from starter homes to exclusive guard gated neighborhoods such as The Ridges, The Summit, Red Rock Country Club and Willow Creek. It also includes three retirement communities – Sienna, Regency and Trilogy (only townhomes). The major parks in Summerlin South are The Gardens Park, The Willows Park & Pool, the 19 acre Mesa Park and many neighborhood parks sprinkled throughout. The Gardens Park holds a Farmer’s Market every Thursday in the summer months promoting local artists, bakers, growers attracting hundreds of visitors. Downtown Summerlin also hosts a large Farmer’s Market on Saturdays. Restaurants of note include Mastrioni’s, Rachel’s Kitchen, Grape Street, Lazy Dog, Tratorria , Andiron, Puck’s, The Yard House and T-Bones Steakhouse at the Red Rock Resort & Casino. Summerlin South is also home to the only Peet’s Coffee house in all of Las Vegas. It’s proximity to Downtown Summerlin, Farmer’s Markets and the parks! The villages of Summerlin West are The Vistas, The Paseos and Stonebridge. These three villages are closest to spectacular Red Rock Canyon Conservation Area and many of the properties have amazing views of the either the red rocks or the city as the elevation here is the highest in Summerlin. The Vistas village has been completed now for some years and features three major parks: North Tower Park, South Tower Park and the 24 acre Vistas Park, community center and pool. The Paseos village is almost completed with some new construction still available in the north end of the village. The major parks here are the Paseos Park with soccer fields and interactive water features and the brand new (2018) Fox Hill park. The village of Stonebridge is the furthest west in Summerlin and is just beginning to build out with communities by Toll Brothers, Richmond American and KB Homes to name a few. This village is one of your best bets for new construction for buyers who want newly built homes. The Vistas, Paseos and Stonebridge villages are mainly residential with very few commercial areas but the restaurants of note include John Cutter’s Pub, Toros Mexican Cantina, Krayvings healthy eats. Hands down it’s proximity to Red Rock Canyon and the elevation producing mountain and city views!